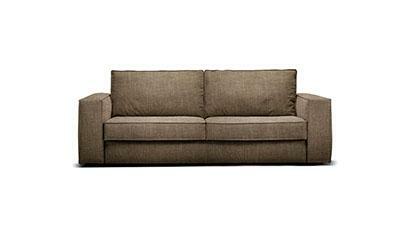 The Philadelphia sofa bed is available in standard dimensions or can be custom made according to your needs. Shop on-line or in one of our showrooms, our furniture consultants are ready to assist you. 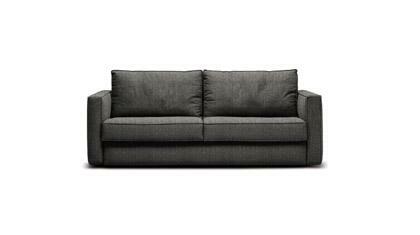 Sofa Bed with comfortable down filled back cushions. Features an electrowelded base that comes with a 5 year guarantee, excellent for daily use. Available with standard sprung mattress h cm 14. Optional memory and polylatex mattresses are also available. This model can be upholstered in fabric or leather. The cover is complately removable. A variety of leathers and fabrics available in our sample book. A team of professionals makes the Philadelphia sofa bed.